Shepton Mallet Prison – If These Walls Could Speak. Guest blog by Alison Carroll | Don't mention the M word! 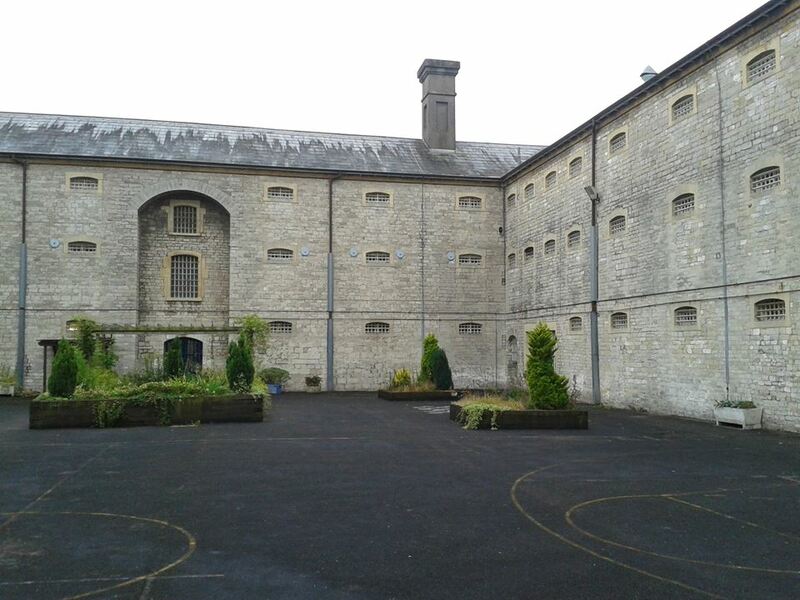 Much to my surprise the walls of the former HM Prison Shepton Mallet did speak to me on July 14th as I attended the second consultation event organised by City and Country ahead of the prison’s redevelopment. 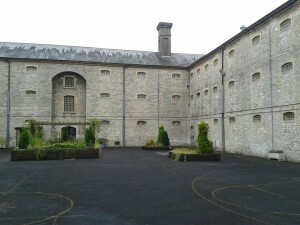 I was taken on a whirlwind tour of the exhibition and prison buildings by a very enthusiastic six year old (my son). It was hard to take it all in but towards the end the walls spoke. They urged me to slow down, stop, look, listen, learn. • Would you support the principle of removing some sections of the wall to improve access to the site? • Would you support the removal of the large workshop building and the chapel building? • Which of the potential uses identified do you consider most important to be included in a viable mix of uses for the site? This was the first time I’d even seen beyond the prison walls. I had to find out more. I asked the people of Shepton Mallet for help via social media. 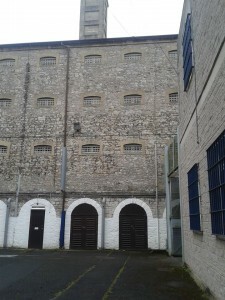 I understand that a development needs to be accessible but is it right to remove sections of the impregnable 8m high listed prison walls ? The overwhelming majority of people who took the time to respond to me indicated that they wanted to see the wall remain intact. The local press, however, report that the suggestion was well received  . I thought that the prison cell windows were a defining feature. I worried that plans to introduce openings to let in light and make the place habitable would destroy the façade. I learned that over 100 years ago there were doors there any way. When I stopped and looked I could see. I felt really uneasy going up a tight staircase into a room. I could sense something was not right about this place. How was I to know that in this very room a large treadwheel was built on which men who had been sentenced to hard labour would serve their punishment ? I was asked if I saw the bullet holes, the morgue, the walkway to the cemetery, the civil gallows site. No, but I did see the hanging room. More than ever I need to know more. So what is to become of this place that is steeped in some 400 years of history? If the walls could speak, what would they say? Would they agree that they are “functional…almost a piece of equipment” ? Would they welcome new residents in happier circumstances? I don’t know. I just hope that everyone involved in the decision-making process takes the time to stop, look and listen. You can tell City and Country your view on the future use of the Prison by downloading their questionnaire. Previous PostFrome – sowing seeds and seeing transformation in a Somerset TownNext PostThe future of giving – a good business decision?